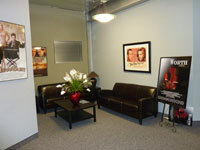 Victory Studios LA is located at 10911 Riverside Drive in North Hollywood. 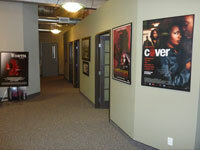 The 16,500 square foot facility is the headquarters for HDFilms, BluFocus and Victory Studios. 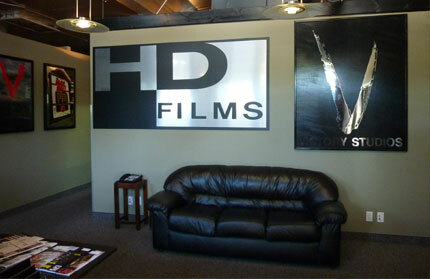 Victory Studios maintains an extremely close (near integrated) relationship with HDFILMS INC (executive producer of ABC’s “V”, etc.) Over the last 4 years, the companies have been exclusively focused on premium content production that lives within online distribution model economics. The relationships, methods and techniques developed and practiced allow the production of competitive television level quality content at a fraction of normal costs. 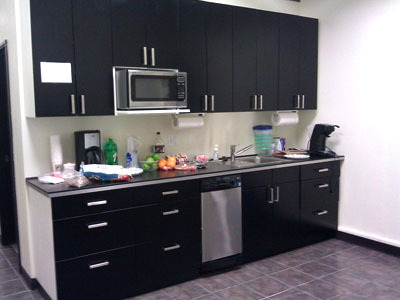 Production Offices, Conference Room, editing and duplication facilities and kitchens/dressing rooms fill out the space so that multiple productions can be operating simultaneously. 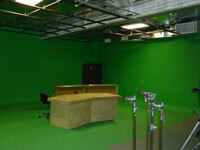 At the center of the building is a 30’x30’ Greenscreen stage with a control room. The stage has cyc corners and walls that make it look larger than it is. Currently, the program “The Morning After” for www.hulu.com is filmed on the stage five nights a week. 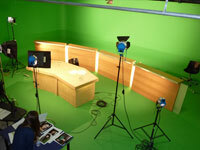 The studio is also available for other shoots during the day and weekends. 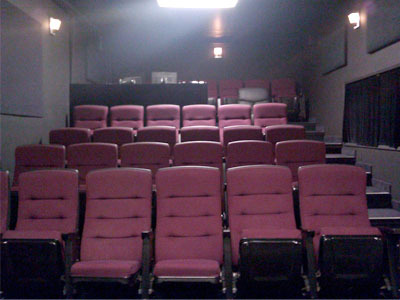 The facility also has a small theater with seating for 33. 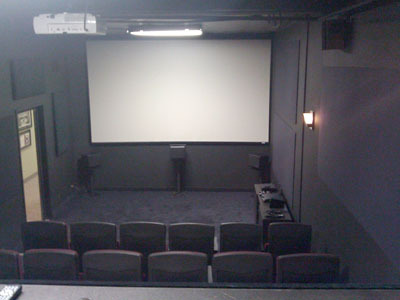 A highdef projector and surround sound speakers make for a professional intimate screening experience. 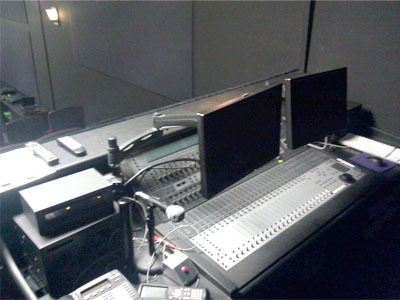 At the back of the theater is a fully equipped ProTools HD3 mixing console. Next to the theater is a recording room with microphones and musical instruments for most recording needs including foley. 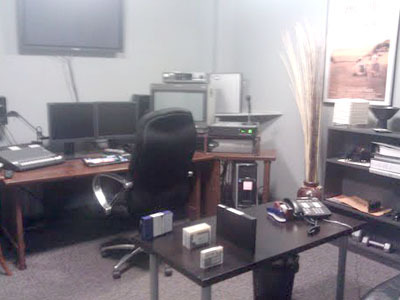 The facility has 8+ editing rooms with Final Cut Pro and Avid systems and an equipment room for tape duplication in HDCam, DVCPro HD, Digital Betacam, Beta SP, ¾”, DV, closed captioning and DVD creation. It also has 4-color Rimage printing capability for DVD replication. 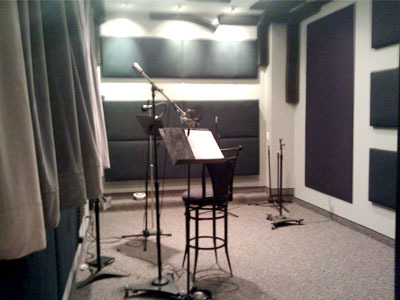 Victory Studios LA was started in April of 2002 in Toluca Lake. 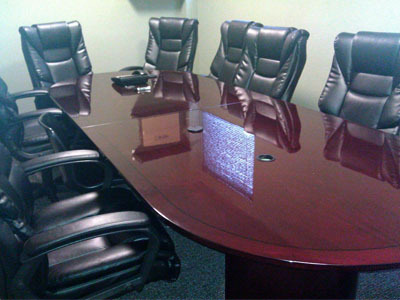 The original focus of the company was to find post solutions for its clients. The company has catered to studios, producers of network television, cable television series, features, trailers, and promos. 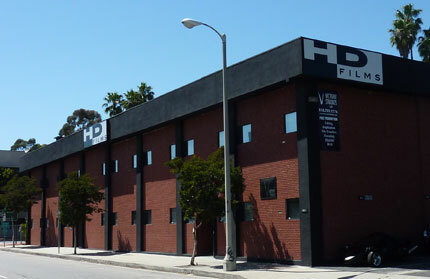 The facility was one of the first two to have full high definition editing facilities in Los Angeles. Some of the projects completed at Victory LA include: Once Upon a Time in Mexico for Robert Rodriguez with Johnny Depp, Antonio Banderas and Selma Hayek, Santa Who with Leslie Nielson for ABC, Boycott for HBO, and television series like The Bachelor, Dog Whisperer, Super Nanny, and the Emmy award winning Mr. Warmth, The Don Rickles Project for HBO. 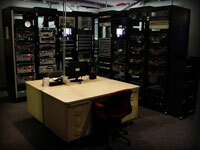 Now the facility has changed focus to emphasize the groundswell shift to internet production. Everything about the design of the space emphasizes efficiency to create top quality programming at the lowest cost possible. The collective efforts of Victory Studios and HDFilms have produced high quality, proven online content that carries mass appeal. We’ve achieved cumulative view counts in the double digit millions numerous times with our series productions. Victory Studios and HDFilms have a unique competitive edge that allows the making of great programs that perform well, very cost effectively. In addition, the companies have been able to establish direct continuous distribution relationships with ALL the major online players. From Hulu.com to Crackle.com to XBOX LIVE, etc… The reach is both domestic and international and is practiced and proven – so when we create content, we have the direct ability to bring it to audiences (monetize.) We are also well versed in the utilization of social networking to help drive viewership and audience exposure to our content. All of this is done directly, in house.